'No pity for him' - Some Arsenal fans have no sympathy for this ex-player after setback | The Transfer Tavern | Where football transfer rumours fly or die! 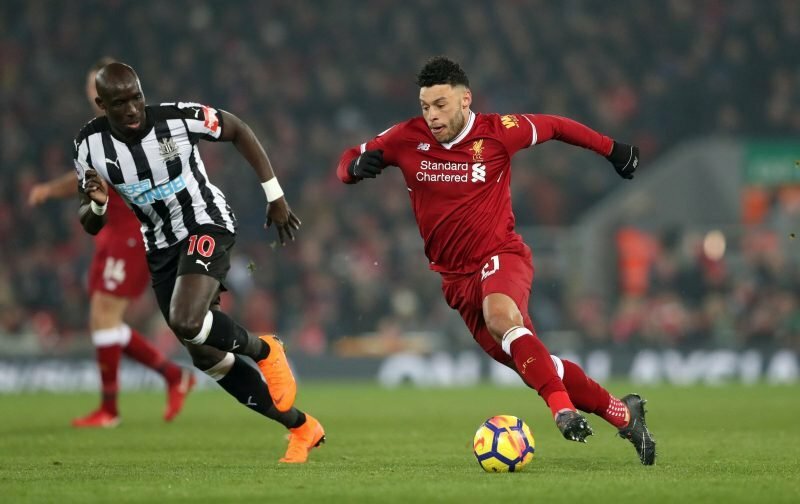 It’s been over a year since Alex Oxlade-Chamberlain made the switch from The Emirates to Anfield and some Arsenal fans are still yet to forgive their man for making the swap. Yesterday on the Liverpool website, the club made the announcement that Chamberlain would be lucky to play at all this season after his injury against Roma last year, and the Arsenal fans have no pity for him. I feel sad for the Ox that he is out of the entire season. He always gave it all for us and clapped the fans, but I still despise him for his complete lack of effort a week before he left against Liverpool..
Chamberlain endured a rocky start to his Liverpool career, his first game after signing from Arsenal was a 5-0 thumping at the hands of Manchester City and then he failed to score for the club until October when he chipped in with one of Liverpool’s seven goals against Maribor in the Champions League group stages. In the second-half of the season, the 24-year-old burst into life, becoming one of the club’s most important players up until his injury. The ex-Arsenal man flourished under Jurgen Klopp and he was at the peak of his powers against Manchester City in the Champions League quarter-finals where he scored a thumping effort against the Premier League champions at Anfield in the 3-0 first-leg win. It will be unlikely for the Liverpool fans to see their man playing competitive football this season as he continues to try and return from the multiple ligament damage he suffered against Roma. There’s no sympathy whatsoever for Chamberlain from the Arsenal fans, despite the fact he was a loyal servant to the club for six years before being shipped off to Liverpool.